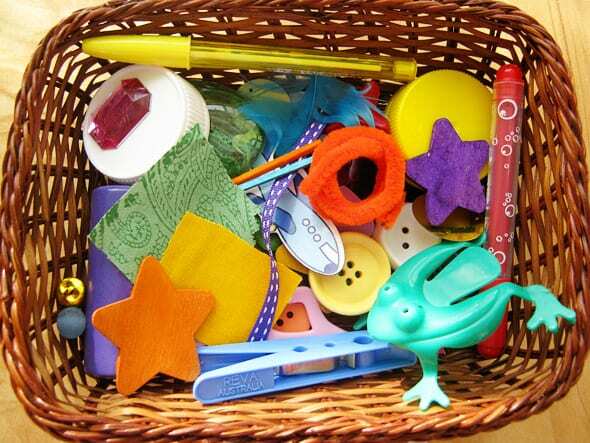 We’re joined by Christie from Childhood101 today, with a great post about sorting fun. I hope you enjoy her ideas. 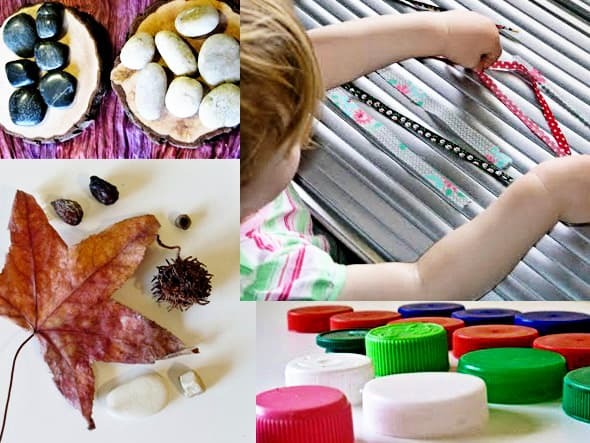 My daughter loves to sort and organise; from collecting small, natural objects on our daily walks at 18 months of age and sorting strips of fabric two months later, to arranging fairy stones at play or helping to sort the laundry as a three year old. At various times we have sorted by colour, size, texture, shape and number. Always in a spontaneous, fun and playful manner. Play is the vehicle through which children learn best and the key to successful thinking and reasoning activities for young children is keeping it playful. I often look for ways to invite my daughter to come to these experiences herself, presenting them in a colourful and appealing manner (as an invitation to play) or leaving them ‘strewed‘ for her to discover. This provides her with an element of independence with the activity and me space to observe her thinking processes, her interest, her ideas for the experience. I show interest and answer questions but try to avoid leading or dictating the play, and hence the learning. There are limitless ways to practice these skills but basing a thinking and reasoning activity around the interests of the individual child helps to engage them, therefore motivating them to learn. A child obsessed with dinosaurs can line them up in a row from biggest to smallest, a child who loves home corner play can sort the types of pretend food to set up a general store, and a child mad about cars can sort her collection by colour or type of car or size. It makes no difference to the learning if dinosaurs or plastic food or cars are used, the skills being developed remain the same. Keeping it playful IS what makes all the difference. 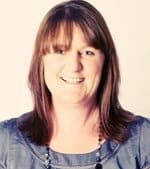 Christie is a qualified early childhood teacher and the Mum of one very busy preschooler. You’ll find inspiration and information on children playing, learning and growing on Christie’s award winning blog, Childhood 101, and in her recently launched quarterly play-zine, Play Grow Learn. Do you have a young child who is learning their ABCs and 123s, and do you want to make their learning fun? 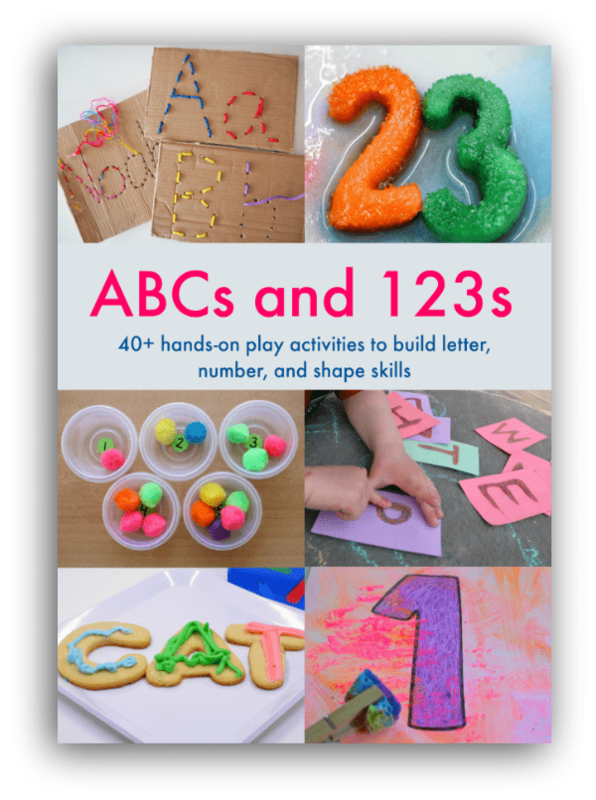 Our ABCs and 123s resource of mulitsensory, play-based letter and math activities is just what you need! What a lovely post and a beautiful sorting box. First time, I am stopping by your website and it sure has lot of wonderful ideas. The sorting box is so lovely and I admire your intervention style which is to allow space for yourself to observe her thinking processes. Ooh that colour sorting box is a bit nice! How did you make the sorting box? Jennifer – the wooden box actually came with a set of wooden cars and road signs but I have seen similar wooden treasure boxes at large craft stores and possibly you could even find something similar on Amazon. I just cut coloured paper to size and popped it into place. This is a cute idea. Our toddlers are now learning about colors. I saw this post on Pinterest. Please link this (and any other arts crafts and play posts) to Artsy Play Wednesday on Capri + 3. It would be great if you could add some of your fall posts too. It is now open. I hope to see you there. 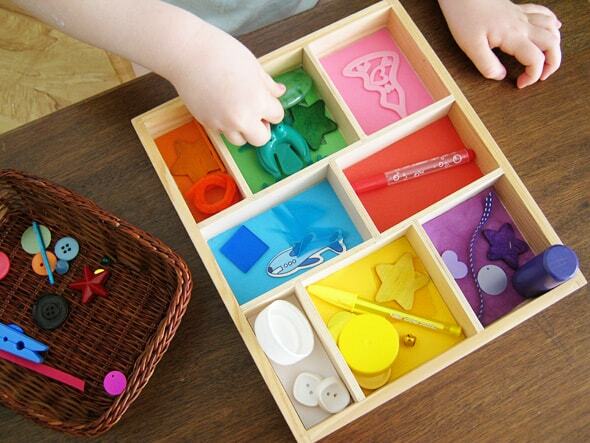 I love that tray for sorting, think I might have to make us one to use. Brilliant ideas, thank you. 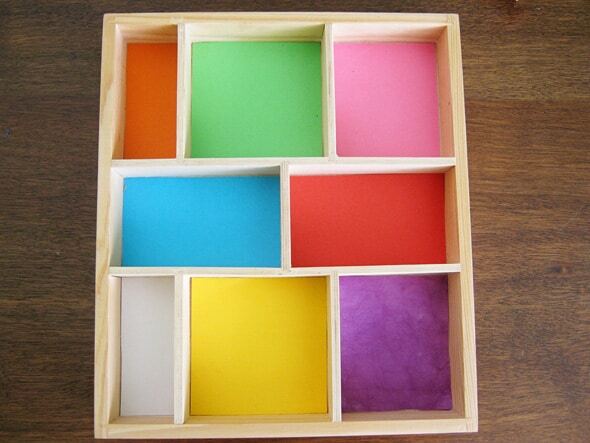 You could use and old drawer and use commercial drawer dividers or ply or balsa to make the separate compartments. Very cute idea. Thank you so much.